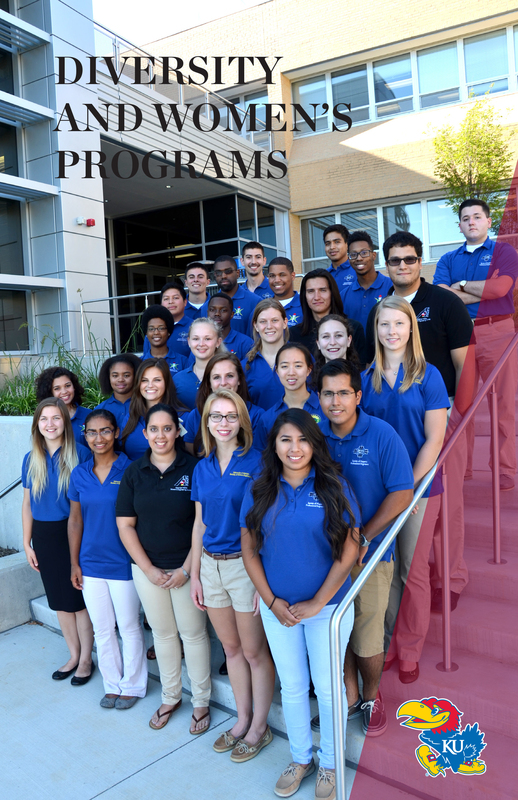 The Office of Diversity and Women's Programs at the KU School of Engineering helps students with academics, networking, leadership skills and scholarships. Involving a variety of viewpoints often produces a better — more sound — design. With that in mind, business and industry today understand the value of involving people from a variety of backgrounds. An overwhelming shortage of underrepresented minority and women students in engineering schools prompted many colleges and universities to establish programs that encourage these traditionally underrepresented groups to pursue careers in engineering. The University of Kansas' School of Engineering initially responded to this shortage in 1971 by establishing the Student Council for Recruiting Motivating and Educating Black Engineers, SCoRMEBE. 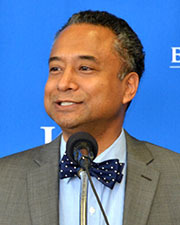 That very focused program has since expanded to include the National Society of Black Engineers, the Society of Hispanic Professional Engineers, the American Indian Science and Engineering Society and the Women in Engineering Program, all of which are guided by the Office of Diversity & Women's Programs within the School of Engineering. The office provides leadership training opportunities; advice, support and motivation; scholarships for outstanding students; outreach opportunities; and connections with prospective employers.